Has The Time Come To Replace Your Roof? Your roof has likely served you well. It’s kept you safe during snow blizzards that are common here in Naperville, Illinois, in winter and spring. It’s protected you from driving wind and heavy summertime downpours. It helps keep your controlled climate inside, keeping your heated or cooled air from escaping. Your roof also serves as your home’s crowning glory, topping it off with style. No matter how well it’s protected you in the past, your roof will eventually get old and need replacing. 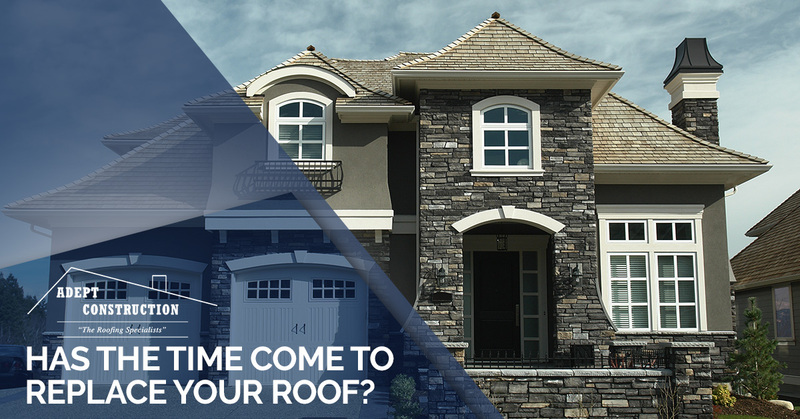 Or your roof may not be old at all, but it’s so damaged from unexpected, heavy hail storms or unprecedented near-hurricane-force winds that a roof replacement is in order. The fact is, it’s important that you know when it’s time to replace your roof so that it can keep protecting you and your loved ones, as well as your home’s interior and belongings, without anything getting damaged. 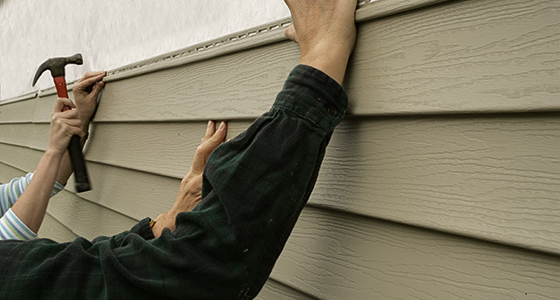 Read on to learn more about roof replacement. Do you know how old your roof is? It may be the same age as your home; if your house is 45 years old, and the roof has never been replaced, the time to replace your roof is most likely right now! 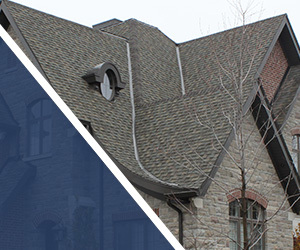 A roof that old will have experienced a great deal of wear and tear over the years, making it important that you have roofing contractors over to your home, whether in Naperville, Villa Park, Downers Grove, or any of the surrounding communities, to check the structure and integrity of your roof. In many cases, it’s hard to tell how old the roof is. If your home is 80 years old, the roof is likely not the same age; when, exactly, was the last time your roof was replaced, though? Or if you’re tenants of a rental unit, do you know when the property owner last replaced the roof? Not knowing can lead to issues, such as rain water or melting snow leaking into your home, if the roof is aging but you have no idea of this fact. If the age of your roof is unclear, but it’s obvious you’re living in an older building, a roof inspection may be in order. Roofing contractors can check the state of your roof and determine whether it’s still got a lot of life in it, or either repairs or a complete roof replacement are recommended. Has Your Neighborhood Had Bad Storms? Your home and your roof may still be fairly new, even less than 10 years old. But if severe weather has hit your neighborhood hard, then your roof may have been damaged to the point where its integrity has been compromised. In these cases, it really makes no difference that your roof is still pretty new. Shingles that have been ripped off during a windstorm, for example, or spots that have worn thin because of extreme weather of any sort will not protect you properly. If inclement weather has been the norm at your house for the past several years, it’s a good idea to have local roofers come by for a roof inspection. What About Fallen Tree Branches? Another thing to consider is the presence of any broken branches or other debris on your roof. Even if you’ve cleared out the pieces from your roof, or you’ve hired someone to do so, your roof may have sustained damage during the original incident. Or, having had individuals inexperienced with roofs and roofing designs walking all over the top of your house may have created some damage. If branches or other pieces of debris have fallen on your home, consider getting a roof inspection done. It will bring you peace of mind if the inspection shows your roof is just fine, and it will save you money if the inspection turns up damage you had no idea was up there. Making a roof inspection appointment with us is easy. Simply give us a call or fill out our convenient online form, and one of our experienced roofers will come by on the scheduled date for your roof inspection. We will do a thorough job for you and let you know if we find any areas that need repair, or if the time has come for a roof replacement. Whether you’re in Naperville, Downers Grove, Villa Park, or any of the other communities located west of Chicago, IL, we have most likely worked on one of your neighbors’ roofs! 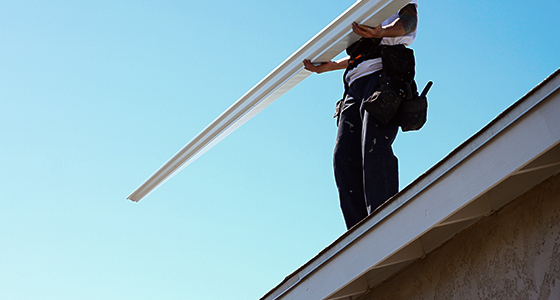 We serve this region through quality work, whether it’s roof maintenance and repair, roof replacement, siding work, gutter installation, or related services. 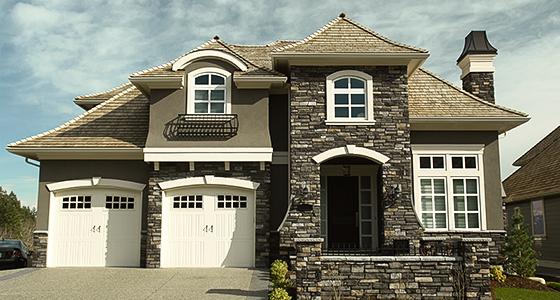 Our experienced roofing experts are ready to assist with your needs. With respect to a roof replacement, we have plenty of experience working with different roofing materials on a range of roof types and styles. Whether your home or business has asphalt shingle roofing, flat roofing, cedar shake roofing, or something else, we’ve worked with your type of roof. Reach out to Adept Construction today!